CALGARY -- Canada's oil sands industry, hard hit by a price storm this year, could be sailing straight into a pricing typhoon stirred up by new fuel standards for the international shipping industry. The tighter pollution rules by the International Maritime Organization, dubbed IMO 2020, are set to take effect Jan. 1, 2020, resulting in the sulphur content limit of "bunker" fuel on ships dropping from 3.5 per cent to just 0.5 per cent. The switch is expected to wallop prices for heavy oil containing high levels of sulphur -- exactly the kind of the raw bitumen that makes up about half of Canada's 4.4 million barrels per day of crude oil production. "It's bad news for any producers of heavy, sour crude oil," said Martin Tallett, president of Massachusetts-based oil market research firm EnSys Energy. "The shock is going to go through the system and affect all products, all regions." Canada's energy industry faced a widening spread between Canadian heavy crude prices compared with New York-traded West Texas Intermediate earlier this year that many observers blamed on a shortage of capacity on export pipelines out of Canada. 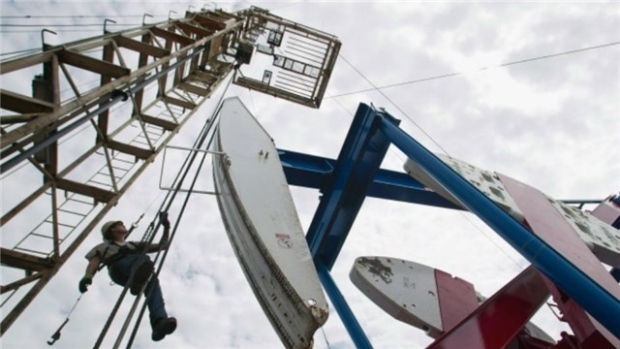 The looming deadline is a concern at Calgary-based Cenovus Energy Inc., where about 360,000 barrels per day or 91 per cent of its overall production is bitumen, produced from its steam-driven oil sands wells in northern Alberta. The IMO 2020 rules, along with uncertainty about when pipeline bottlenecks will be cleared, and limits on the company's ability to process its oil at the U.S. refineries it co-owns, are issues to consider before any moves are made to expand production, said downstream senior vice-president Keith Chiasson. "We are obviously watching that space," he said on a recent conference call, adding, "Do we want to bring new production growth into that market if we start seeing (new pipelines) deferred and delayed as well as the IMO impact coming?" Uncertainty continues to plague proposed new export pipelines including TransCanada's Keystone XL project, the expansion of the Trans Mountain pipeline (despite it being sold to the federal government) and Enbridge's Line 3 pipeline replacement as environmental opposition to the projects remains high. Most bunker fuel burned on ships is derived from the "residue" that remains after all of the more valuable light fuels such as gasoline and diesel have been removed from crude oil in a refinery. The IMO first began restricting emissions in 2005 and its limits on sulphur in bunker fuel have been progressively tightened. Four "emission control areas" in Europe and North America already have a 0.1 per cent limit. Wood Mackenzie said in an April study. Tallett said not all oilsands output will suffer because of IMO 2020 -- synthetic crude produced from upgraders at oilsands mining operations is considered a light oil and, as such, would still attract prices similar to WTI. "We think net-net we will actually gain by the IMO 2020 and that's to do with the diesel yields off of our average barrel across the company and the fact that we think demand and prices will be relatively strong," he said. "So, overall, the impact for Suncor is a positive one." "For now, we are treating it as a small negative for prices leading into 2020."